Note: This page provides details on getting a Master's in Child Development, for doctoral degree information please see our Ph.D. in Child Development page. For general program information, please see our Child Development Degree page. Gaining a Master's Degree in Child Development is right for those who wish to open more career opportunities or plan to go on to the doctoral level. In order to get accepted into a master's level program, there are some typical requirements that colleges and universities may ask for such as, recent GRE examination scores, letters of recommendation, transcripts, and sometimes even an interview. On average, a master's degree will take between 1 and 3 years to complete depending on term length and requirements. If a master's program is to lead to valid employment in the field of study or future admittance to a doctorate program, then the program must be accredited. A college or university should be able to easily show accreditation through the proper organizations for your degree program. Many people with a Master's Degree in Child Development will end up as teachers or school administrators, but this degree could also allow you to become a school counselor, social worker, community organizer, child advocate, child home operator, or youth services organizer. Knowing how long a program has been around is a good way to gauge its reputation. Although it is very reassuring to know that a program has been around for many years, it is important to note that distance learning is a relatively new offering. You want to look for a school that has been around long enough to gain accreditation from an agency recognized by the Council for Higher Education Accreditation (CHEA). In order to facilitate online learning, teachers will utilize different modes of technology. Every school uses a different technology and learning forums to facilitate learning. These online learning platforms consist of discussion boards, online syllabi, and multimedia lectures. It may be a good idea to research the technology in order to ascertain your future success in the program. Students find some programs to be more user friendly than others. In a master's degree program, you will definitely be required to conduct research. Schools usually provide students with access to online catalogs, scholarly articles, journals, and other research database. Additionally, good schools may also offer technology assistance. It might be useful to find out what online resources will be available for you before committing to a school. You want to find out what knowledge and skill set you will be equipped with upon graduation. Solid schools have established goals and expectations of what graduates should have learned over the course of the degree program. These goals may come in the form of measurable outcomes. In other words, what will you be able to do by the time the program is over? This will be a good way to see if a program is compatible with your career goals. Knowing what recent graduates are up to might be a good tell of whether or not the prospective program is in line with your career goals. If given the opportunity to connect with alumni, ask about their online learning experience and if they have any tips or pointers for you. Find out how their online Master's Degree in Child Development has helped them in their career. Since it can be done on your own time, online Master's Degree in Child Development classes can allow students to spend less time on commuting and more time on career, schoolwork, and with family and friends. This can also be advantageous for those who do not live in an area with easy college access. With online schooling, students are responsible for planning their studies and staying on task. Consider the following when exploring online programs. One of the reasons more and more students seem to gravitate towards online Master's in Child Development degree programs is the flexibility. With online programs, students are not required to consistently attend class. They have the ability to complete coursework wherever and whenever without having to spend time on commuting. This is especially appealing for students who work full time, since they will not be required to compromise their work schedules. Online degree programs allow working students and those with families to maintain the flexibility they need, so they can keep up with all aspects of their life. No fees associated with commuting, parking, or on-campus meals. No costs related to relocating and living on campus. Students can continue to work and maintain a source of income. A great benefit of online Master's in Child Development is the variety of programs a student has to choose from. With traditional programs, students are required to physically attend classes. 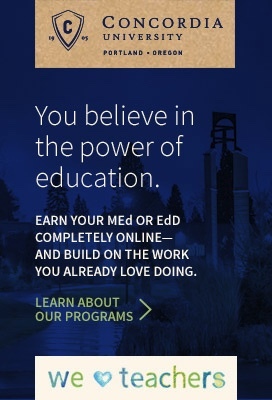 With online degree programs, learning is done remotely from the convenience of your own home or office. This allows students to choose a school and program regardless of their geographic location. This can be even more beneficial for students with families and careers who do not have easy access to a campus and do not have the option to relocate. Online Master's in Child Development degree programs are often self-paced. The self-paced nature of online programs attribute to the possibility of completing a program faster than at a traditional college. With online degree programs, students can take classes all throughout the year and back to back. In many cases, as soon as one set of classes are done, students can quickly begin the next set of classes. At this pace, students can complete program requirements faster than if they had to adhere to strict schedules. It is important to know that many online schools offer accelerated degree programs as well. Graduates can work in public or private schools (K-12) as well as public and private preschool programs. With the right certifications, those with a Master's degree in Child Development can also work with children with special needs in programs servicing children and adults with special needs. There are social service positions available in many communities. These professionals manage child development programs, after-school programs, camp programs, or other social service programs. Such social service positions focus on the organization and creation of extracurricular programs. Those who have a Master's Degree in Child Development may also choose to work in the field of healthcare. Child development experts in this field are often responsible for assessing children of all developmental levels and writing reports in order to implement treatment plans. Networking and staying up to date with policies that support children can be beneficial for your in the child development industry. It may be a good idea to learn about career associations such as the National Child Care Association. The NCCA promotes the growth of quality early childhood education. Such organizations offer annual conferences and expos - which is a great way to network, develop, and connect with other professionals in the field of child development.